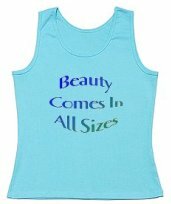 "Weight Loss isn't about health or beauty. It's about money. (toothin.com)"
"Listen to your body. Don't Diet!" What do you think of having a book give-away near a weight loss center, like Jenny Craig or Weight Watchers? I'm especially fond of the book Fat!So? by Marilyn Wann (see book reviews). I plan to look into getting a volume discount from the publisher, get a few friends and cameras together, and hit a location or two, giving anyone interested a free copy of the book with an anysize.org bookmark. Let me know what you think of the idea. I don't condone the following, as I'm not completely sure of its legality. 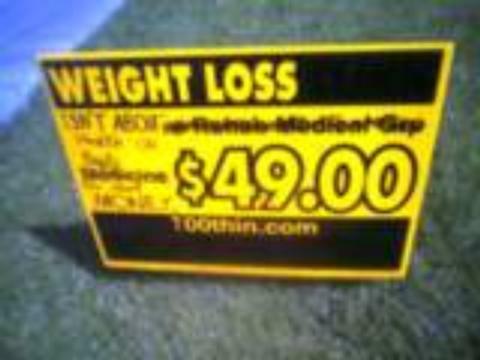 Hand-made or laser-printed weight loss signs seem to spring up lots of places, especially on telephone poles. Some people either tear these down or change them to say something different. I saw some paper signs that said, "I lost 40 pounds in 2 months! Free Sample" and a phone number. Someone changed the "40 pounds" part to "My Mind" or "My Friends." by pasting on a strip of paper. 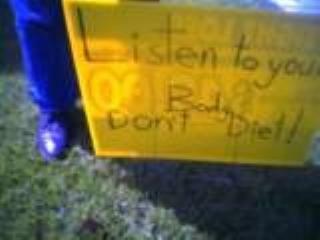 There were also some hand-written signs on corrugated plastic that said the same things. A few of these were crossed off and replaced with "Don't Diet." Here are some weight loss signs that have been "liberated." Instead of changing signs or taking them down, we could make signs too. What have you done, seen, or imagined, in the way of activism? Let us know.